Home / News / Politics / Int’l relations expert: Why are LP politicians silent on Vietnam claiming Spratly's? Int’l relations expert: Why are LP politicians silent on Vietnam claiming Spratly's? Alleging that it might have been the order of "Uncle Sam" or the United States, the silence of opposition figures on the occupation of Vietnam of the Spratly islands is likewise questionable, according to political blogger and Manila Times columnist Sass Sasot. 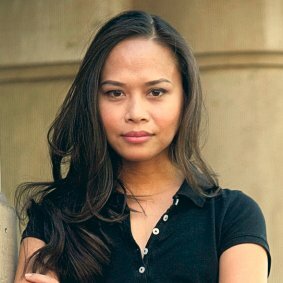 "BAKIT TAHIMIK SI HONTIVEROS ABOUT VIETNAM? SI LENI NEVER NABAHALA? SI ALEJANO NEVER TUMAHOL? AT SI CARPIO NEVER NAG-INGAY? UTOS BA ITO NI UNCLE SAM?" Sasot said in her Facebook page, For the Motherland. 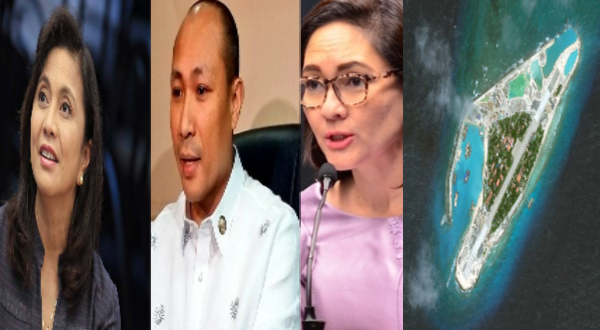 Citing an article from The Diplomat, Sasot said that in 1996, Vietnam only occupied 24 features sa Spratlys, then in 2015 it was occupying 48. "Eh bakit ang tahimik ng mga nag-iingay ngayon sa 8 lang ng China? We find 8 threatening why not 48? Anong basis natin? Simple: INTEREST OF UNCLE SAM," the pro- President Rodrigo Duterte blogger said. The article she used as reference, was published in 2015. According to the same article, in the past 20 years, China has not physically occupied additional features. By contrast, Vietnam has doubled its holdings, and much of that activity has occurred recently. The Vietnamese occupations appear to have increased from 30 to 48 in the last six years. "It appears China has now built an airfield and that this was already visible in April 2015, when the Daily Mail reported that “images showed a paved section of runway 505m by 53m on the northeastern side” of Fiery Cross Reef. Now media pundits are engaged in a debate about how many acres China has reclaimed, suggesting that China has been more aggressive than Vietnam because it has reclaimed more acres," the article read, adding that China is the most aggressive actor in the territorial dispute dating back in history. Significantly, Vietnam has also been the most active in the said dispute. Several reactions were garnered by the post, with some questioning and some supporting the logic. "Come on Sass, it's like you're not even trying to make sense. The article cited is from 2015 when "china had no significant bases or airfields." Big difference between then and now. Vietnam didn't build in our borders. The nine dash line is a ridiculous claim. Vietnam is using EEZ as a basis for it's claim, the same basis we're using. And unlike us, Vietnam actually fires at chinese aggression," said a Raymund Suba. According to a Roy Jao, "It is not about the number of features you occupy, but how do you utilize those features. Vietnam, Malaysia, Taiwan and Philippines can only build an encampment and airstrip on these features, China build an artificial island on these feature that now include modernize defense capability. If Vietnam or Taiwan did the same thing, will the world opinion change?" "Talaga naman kasing utos lang yan ng mga kano sa LP. Pat ung pagkakabahala ni lugaw sa mga missiles ng China. Ang tunay na nababahala jan eh ang mga KANO," said a Mark Tonio.